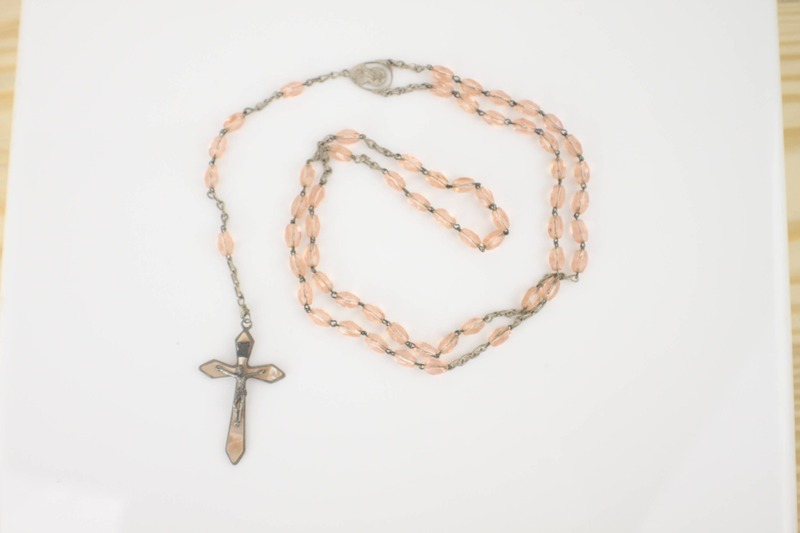 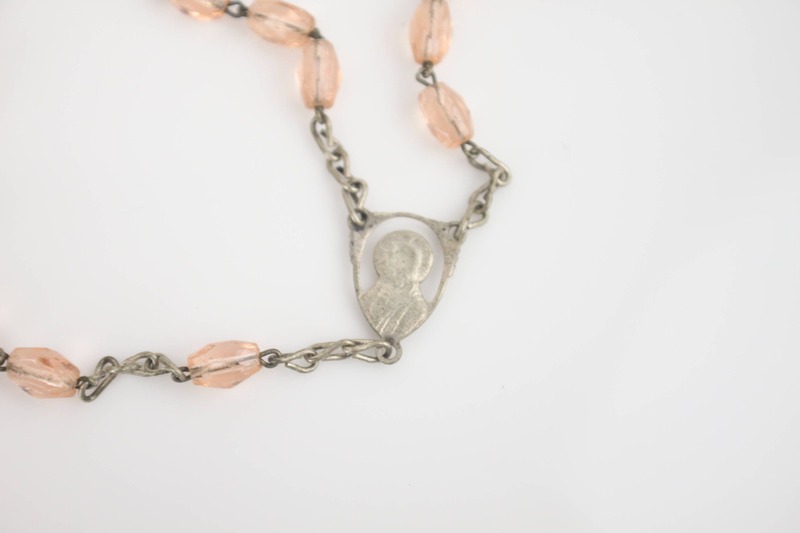 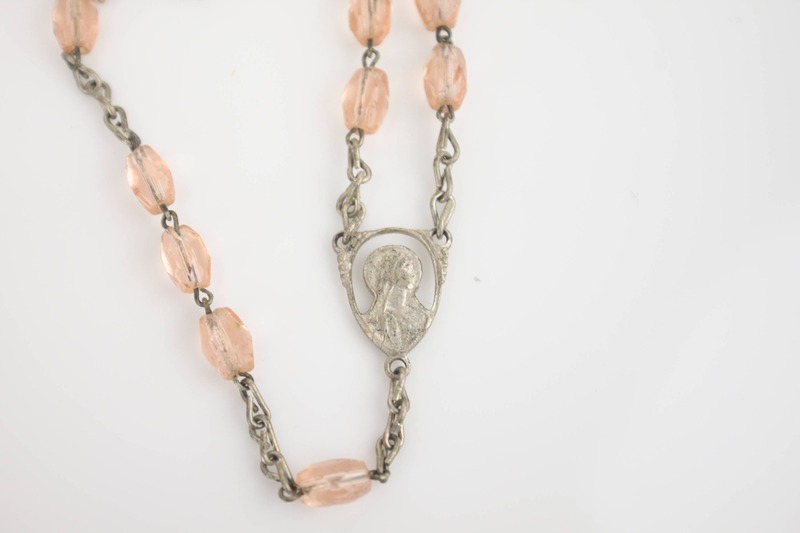 This beautifully made Rosary is in wonderful condition for its age! 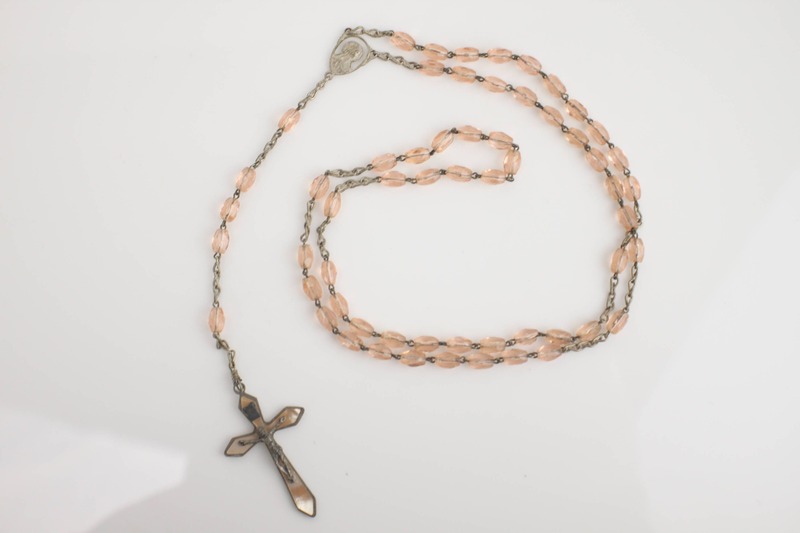 Made from pink emulated glass beads linked with silver plated brass chain - this classic rosary is perfect for a first communion gift! 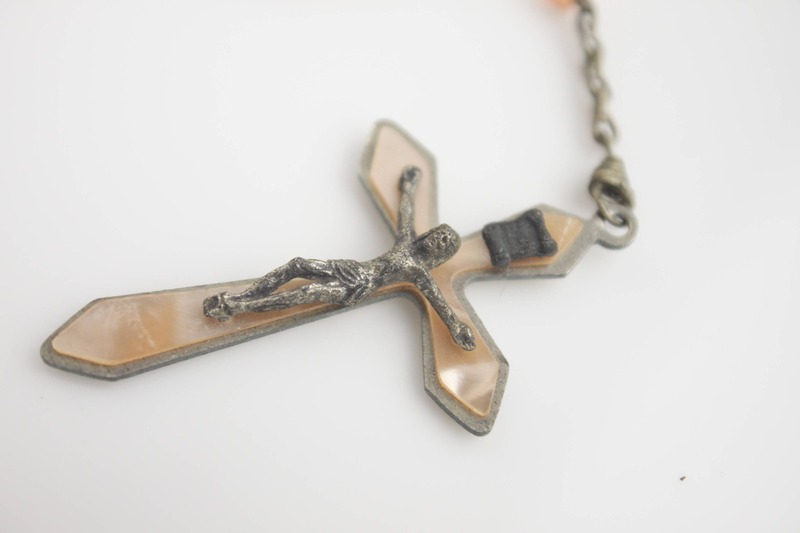 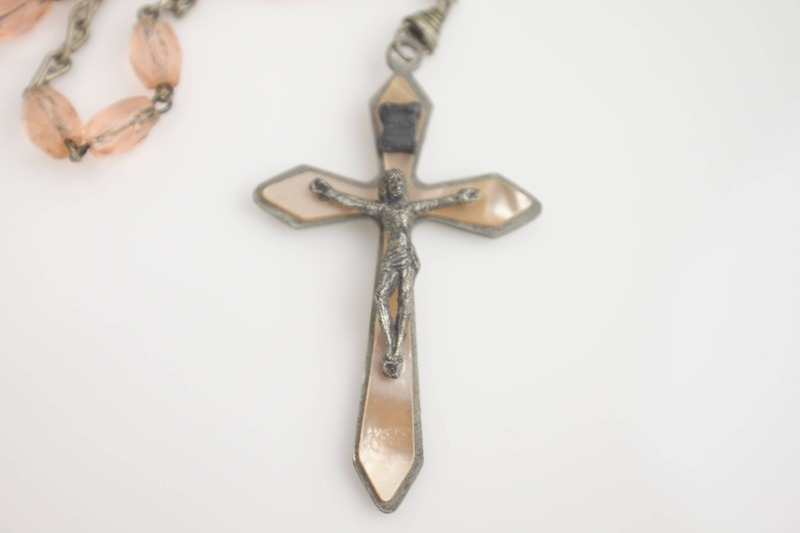 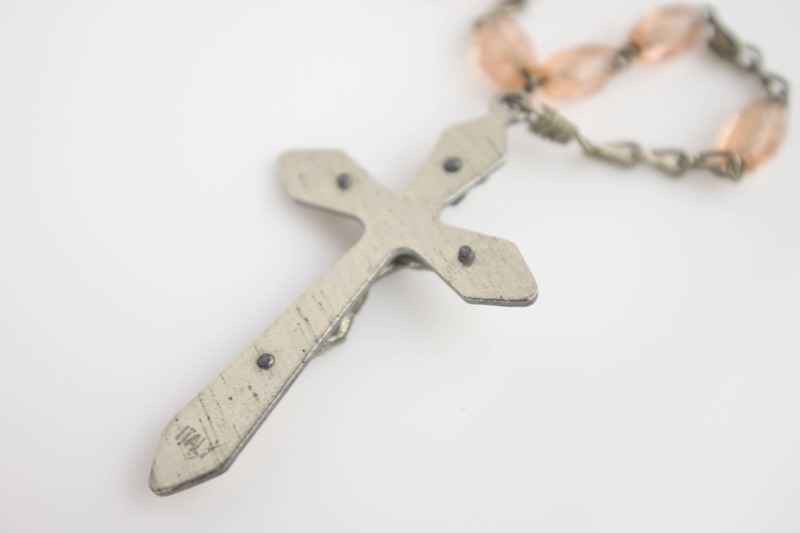 The crucifix is made from pink celluloid mounted on stainless steel with silver plated accents! 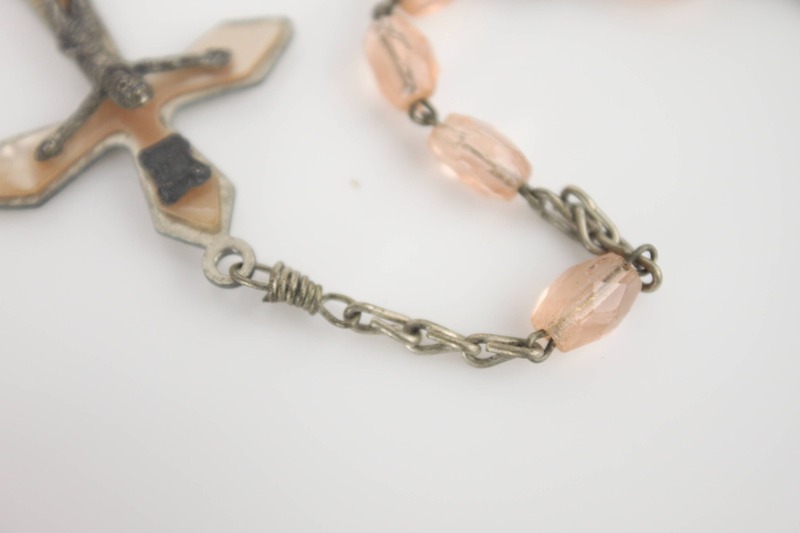 A wonderful piece to add to any collection!